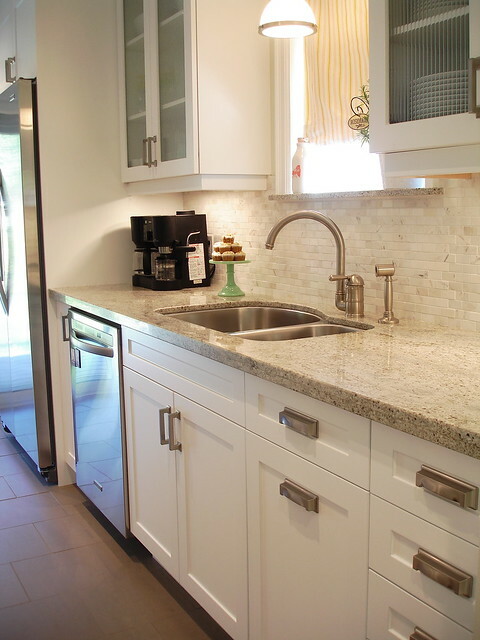 These days I find myself spending a lot of time in our kitchen...and as much as I love it, I realize that there are always better ways to use the space and storage solutions that make more sense. One of the prettiest kitchens that I've seen belongs to one of my very favourite bloggers, Jennifer, of Rambling Renovators. This is another AMAZING Canadian blog, I just love it! 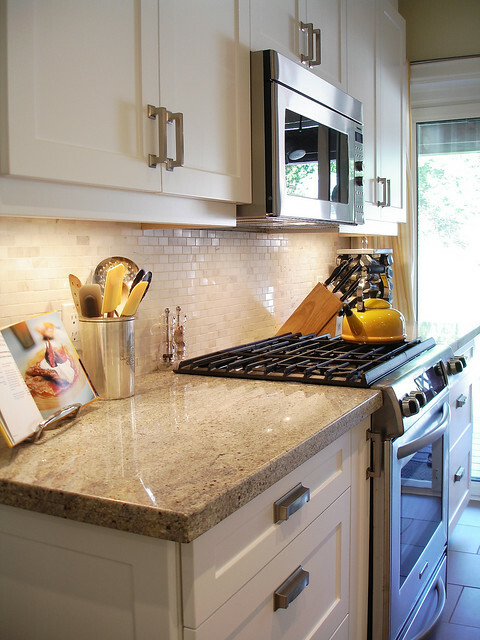 Her kitchen really inspires me, so a list of how to perfect mine is in the making. Take a look! 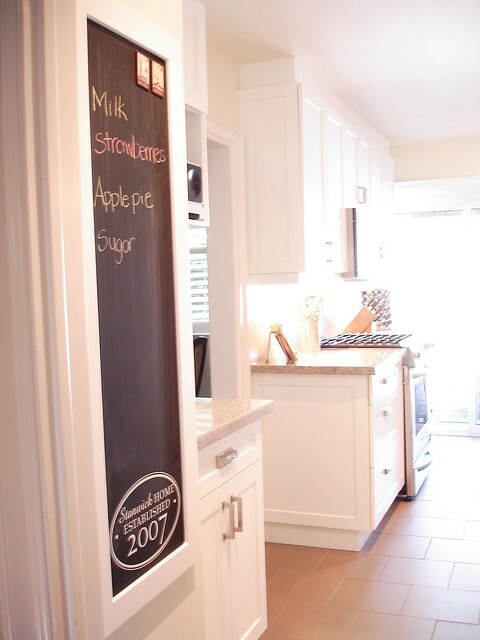 There should always be a chalkboard in the kitchen! We recently made a change to ours, I'll be posting pics soon! Love this decal, such a sweet personal touch! 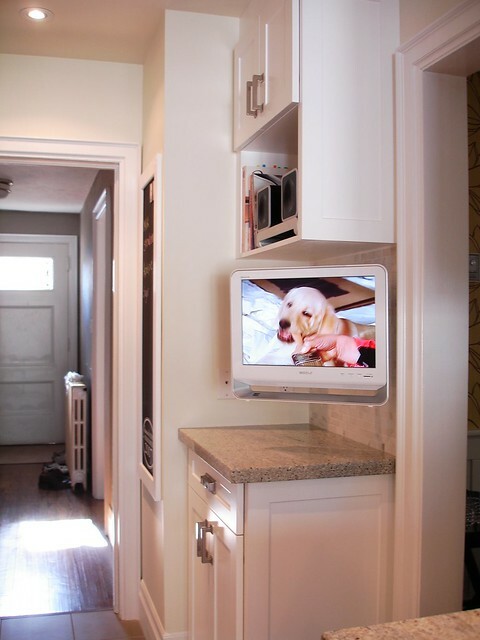 An amazing flat screen tv is officially on my kitchen shopping list. Isn't her backsplash beautiful? I would love tile like this in our kitchen. In addition to a gorgeous home, Jennifer has an adorable little baby girl named Chloe who is just darling! 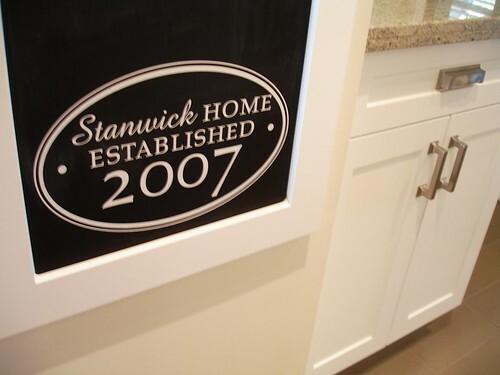 Make sure you check out her blog, and you can see more details of her incredible kitchen reno here.